"This is by far the best place to go for swim lessons! We started out at another local facility and Swimtastics is hands-down the best place in the area. The individual attention given to the children and the parents is second to none. 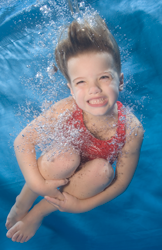 It is so nice to have our 4 year old now say "I love swim lessons." Its worth every penny!"